In an effort to keep bringing you free RPG systems, today my fellow portallers, I give you a dungeon crawl double whammy – Dungeonslayers and Dungeon Crawl Classics! Dungeonslayers is free and seemingly very quick RPG to pick up, seeming relatively rules light. It sports some pretty cool artwork and an old school feel to it, and character creation is dead simple. There are many supplements you can also download for free from their downloads page including a book of monsters and a good selection of adventures that are ready to go. If you’re looking for a quick RPG with an old school feel, definitely check this one out. It’s been a while since the last Free System Friday so I thought I’d toss another one your way this week. Let’s keep it short and sweet shall we? Chances are most of you know a thing or two about Cthulhu mythos and if not then you can definitely get started here. You might also want to read a short story or two by H.P. Lovecraft himself before diving into the Cthulhu game to help set proper mood and tone, think of it as awesome homework if you will. 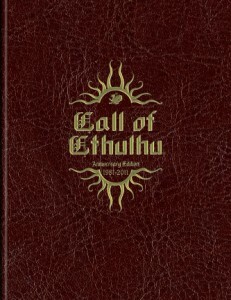 The Call of Cthulhu s about to celebrate it’s 30th year as a tabletop RPG, so if you haven’t gotten in on the action yet (like me) now would be a great time to do so! Head on over to the Chaosmium website and pick up the Call of Cthulhu Quick-Start package – a game that can only end in tears, and by tears I mean insanity and/or a horrific demise for the PC’s and perhaps the entire world. Until next time my fellow curious investigators…if there is a next time. 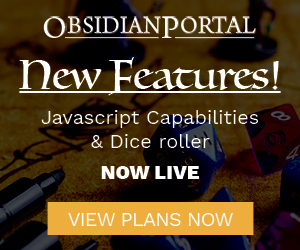 If you’ve got the time, you can pick it up over at RPGNow, check it out, then head right on back here later and leave us a comment, tell us what you think about it! It’s nice to see freebies like this that have such high production values and it only uses 6 sided dice to boot! Boots on the ground, soldier! The universe is a-flame with war and you need to do your part. Welcome to BattleTech. It is a universe at war. Even as mankind reached out to command the stars, the human lust for conflict and conquest could not be overcome as easily as the distances of light years. Driven by the dream of one day ruling all of humanity, mighty empires formed, fell, and rose again. From the chaos of war arose the Star League, the pinnacle of human civilization, a Golden Age where a lasting peace and time of prosperity seemed possible at last. But greed, ambition, and treachery combined to tear it all down once more, plunging all of the worlds humans called home into centuries of simmering conflict. Yes BattleTech, the old-standby. Well for this Free System Friday, we’re hooking you up with the BattleTech RPG Quick-Start Rules! It’s got everything you need (short of players and dice) to suit up and take the war among the stars to your living room. Why, it’s even got purdy pictures! So? What are you waiting for? Grab some friends, grab your dice, grab the rules, and fight the good fight! It’s Free System Friday! Tired of your current RPG system? Then why not try a new one for free? Today’s system is Engine Heart by Viral Games. 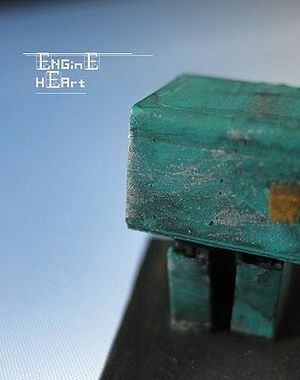 Engine Heart is a role-playing game where all the players are robots. Not cyborg killers or towering mechas, but small service robots that went unnoticed by the humans in the time before. The time of the humans has passed. But you and your kind endure. Some robots continue with their routines, improvising as best as they can. Others have found new directives. So what are you waiting for? Download the rulebook, check out the wiki, grab some friends, and WALL·E it up!